Sometimes brushing and flossing your teeth everyday is not a guarantee that you’ll never have cavities. There are situations and habits that put you at high risk of cavities. Cavities occur due to oral bacteria that causes decay or what is commonly known as dental carries. Cavities are a top concern in family dentistry. The bacteria can spread further and invade different areas of the tooth. When this happens, it is regarded as a bacterial infection. Let’s take a look at some factors that put you at high risk of cavities and how you can control or minimize them. Bacteria in the mouth can quickly build up whenever you feed on sugary foods or carbohydrates and drinks that create acids. Acids in the mouth corrode the protective layer of the tooth enamel making it sensitive and prone to bacteria. When the substance on the protective layer of the enamel is removed, the result is significant exposure to infection. Some people have more microbe species than others and hence have a higher risk of getting cavities. How keen are you on taking care of your teeth and gums? First, people who brush and floss daily are at a reduced risk of oral bacteria that may cause cavities. This is because food particles are eliminated in the mouth so there’s no risk of acids corroding the enamel. 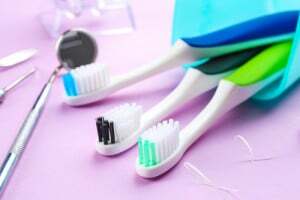 Additionally, visiting the dental office Richmond Hill to have regular checkups and also professional cleaning will go a long way in making sure you keep cavities at bay. What you eat will determine how prone you are to cavities. When you take too much acidic foods and drinks, you increase the chances of eroding the enamel and making your teeth sensitive. The high acidity is never good for the mouth and your saliva is what restores it to normal pH. Foods that are sugary or high in carbohydrates can also contribute to cavities since they enhance bacteria in the mouth. Saliva in the mouth is what helps to wash away bacteria, maintain normal pH and prevent acidity that may erode the enamel. When you have dry mouth, it means that you don’t have adequate saliva to perform these functions and this increases your risk of tooth decay. Dry mouth can be caused by different factors including the medications you take and treatments like chemotherapy. You need to drink lots of water or ask your dentist Richmond Hill to recommend a mouth rinse that will help counter the effects of dry mouth. In most cases, the back teeth are most prone to decay. This is because the molars and bicuspids have tiny fissures which can easily trap food particles and bacteria that eventually creates decay. Some people have deeper fissures than others on their back teeth hence are more likely to experience tooth decay. If you have receding gums, it means that your roots are more exposed which also makes you more prone to tooth decay. Other factors such as vomiting can create an acidic environment in the mouth that causes bacteria to thrive and hence increase your susceptibility to tooth decay. General dentistry procedures incorporate techniques that are effective in dealing with cavities. Discuss your options with a qualified dental expert.